Starting off with a TV special from the series that specialised in shark jumping and creating enough out of place episodes that the normal episodes weird. This Christmas special was presented as a stop motion classic like so many others, except that this time it’s a probe into Abed’s recent psychological trauma… with musical numbers! The team are transformed into Christmas toys, taken on a magical journey through a winter wonderland of gumdrops and hurt feelings. 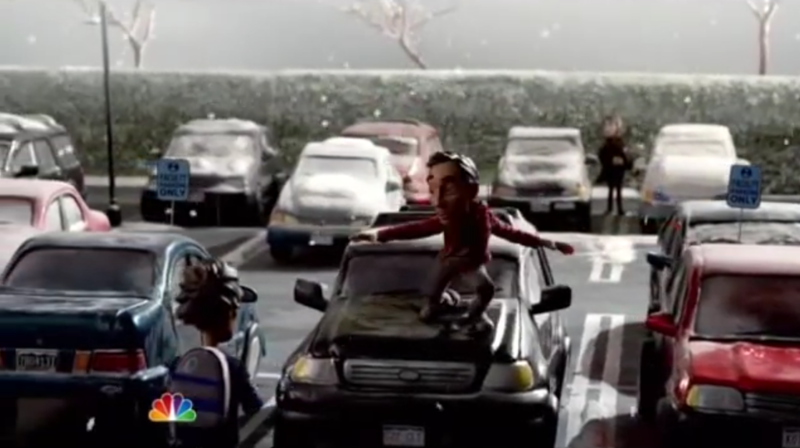 Community earns its geek cred through D&D episodes that exceed expectations, callous analysis of its own media, and including pterodactyls in a Christmas special. So here’s an analogy for you. They say a dog is for life, not just for Christmas, and there are far too many people out there struggling to obey the simple care instructions for their new pet, only to discard them. Well here’s a pet that turns the horror back on you if you mess things up. Don’t get them wet, don’t feed them after midnight. It’s a damn sight easier than looking after a dog, but still so easy to get wrong if you’re not paying attention. A mogwai pretty much looks after itself, possessing simian intelligence, manipulating digits, and social skills that can help it interact with practically any species. Most of them prefer to use their skills for their own personal entertainment and pure destructive chaos. More fool you for giving in to their demands. When the Saints come marching in, you know that you’ll be met with a lot of bloodshed and an equal pinch of humour. When the Saints are the ones who decide if you’ve been naughty or nice, it’s better to be nice to these guys (and naughty to everyone else). So how on Earth could Saints Row IV incorporate a storyline about how they saved Christmas? Isn’t this just a gang game? Anyone who has ever played a Saints Row title will know that the gangsters are just daft; they get involved in so many strange hijinks that saving Santa doesn’t seem so far fetched. The Saints have to save Santa Claus from the evil… Clawz. This ‘Dark Santa’ is one naughty man, who has come from Shaundi’s future to wreak havoc upon Steelport. Naturally, only the Saints are allowed to cause carnage in their city, so it’s time to lock and load and shoot down the evil Clawz and save Christmas. The Hetalia Christmas Special is a very sweet episode of an already sweet anime, filled with fetching anime guys and girls representing different countries across the world. It’s a strange premise if you’ve never watched it before, but trust us – It works remarkably well and is one of the more popular anime series out there. Honestly, I can’t recall how many Hetalia cosplayers I’ve met in my convention days! Anyway, the Christmas Special is exactly what you’d expect from one. 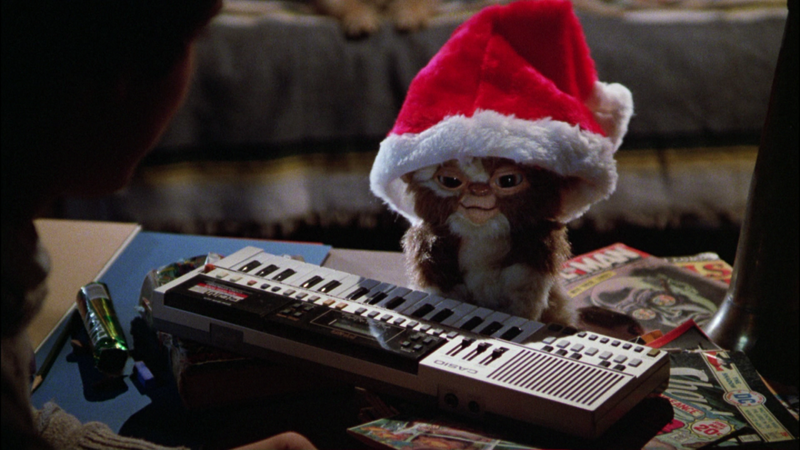 It’s silly, it’s cute, it’s filled with presents and a lot of guest appearances from… Amazon? There’s a lot of poking fun at how a lot of presents are ordered online these days, as well as some characters just not getting the presents they ask for. The countries in this episode learn about how each other’s countries honour the holiday season, sometimes to disturbing effect. The classic, the infamous, the terrible; it’s the Star Wars Christmas Special. Renowned for making even George Lucas blush at how bad it is, the Christmas Special is a classic for how badly it went. If you ever want to see what happens when a big franchise makes a big fumble, this is the one and trust me, it’s easy enough to view it on YouTube. I’d be interested to see if any companies try to copyright strike a YouTuber for uploading this one (unless the YouTuber monetised the video). Chewie and Han Solo go to visit Chewie’s home planet, where they are going to celebrate Life Day, the Wookie Home World’s version of Christmas. During this, we see the family getting together, talking in shrieks of agony. We also get to see one of the Wookiee men, uh, thoroughly enjoying himself by looking at stimulating ladies. You honestly can’t make this one up, go watch it and be appalled. Holiday hero team up of the century might be going too far, this fantastic Dreamworks number seems to have faded a little from the public eye but fully deserves a spot in the list. 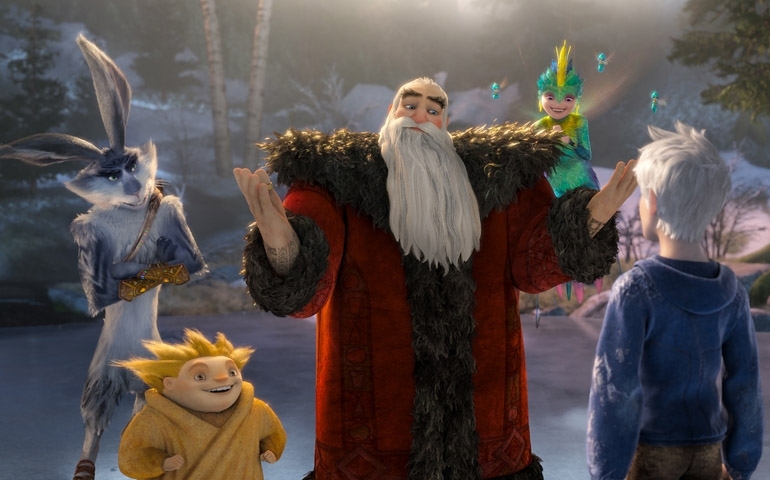 We debated it, because technically the events of the film take place over Easter, but when two of your main characters are Santa and Jack Frost, Rise of the Guardians deserves more than a courtesy nod. Fighting for the hearts of children, and fighting the very spawn of fear – Pitch, the bogeyman – Santa (an enormous dual-wielding russian), Jack, the Tooth Fairy, Sandman, and Easter Bunny join forces to bring back the wonder, hope, and joy that children need to grow up happy. If capturing the spirit of the season and embracing belief and happiness don’t make for a Christmas film, then what does? 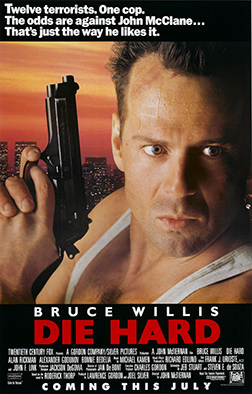 Okay, so yes, it’s true that Bruce Willis himself has declared Die Hard is not a Christmas film. However, the story itself is based on Christmas Eve, which does indeed make it Christmas-Themed. If you dispute this, fair enough, let us know how vehemently you disagree with our assessment in the comments… Because trust me, we very nearly didn’t put it in the list. 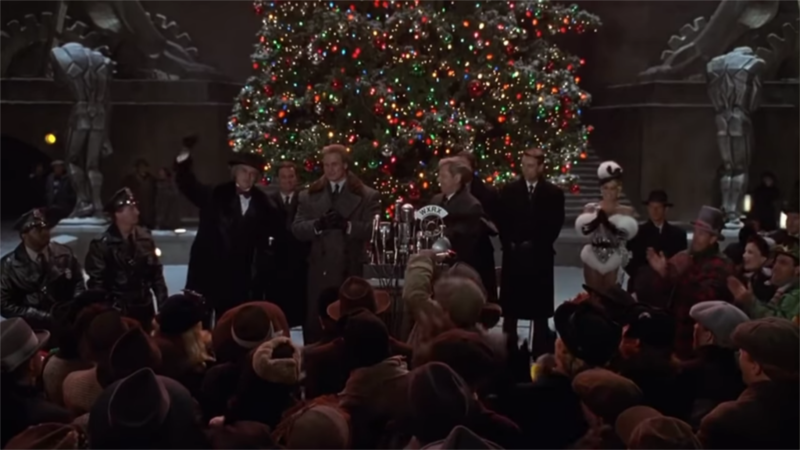 However we like to look at popularity as part of our criteria; Die Hard fits the criteria of a popular Christmas-Themed story – Because it’s a story that takes place around Christmas. Loose definitions aside, Die Hard is undoubtedly a film that geeks like to bring up around the Christmas period. I mean for crying out loud, there’s a pregnant woman, Christmas songs and even a Christmas party! This might not officially be a Christmas story, but hey, we geeks will always call it one, even if Bruce Willis says it isn’t. Yippee ki-yay! Besides, who are we to argue with the likes of Forbes, Empire and The Guardian? Sitting quietly in fourth, as the actual official stance means this cannot get into our Top 3 slots. 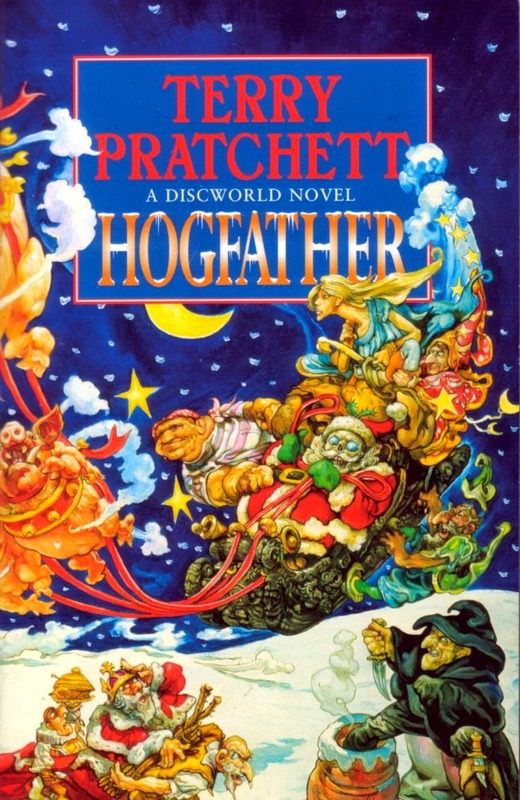 Death (capital D) steps into the role of the Hogfather to keep alive the spirit of Hogswatch, after an intrepid assassin is hired to kill the immortal spirit of winter, the soul of the turning year and the rebirth of the sun, the jolly red giant of hope. This being of life in the depths of winter, being “played” by the embodiment of death who is fascinated by life. It’s not exactly Christmas, but it’s as close to any approximation of real world events on the disc as anything other parody. The “fat man” is drawn through the sky on a sleigh drawn by powerful boars, gives gifts to the good children, and brings the spirit of the season with him, because he predates it by generations, changing with the demands of the minds that make him. Remember when we got uppity in the 4th place, putting Die Hard there? Remember how we said it isn’t officially a Christmas Story, but rather a Christmas-Themed Story? We’re back at it again, but this time, we do not have a director or actor telling us otherwise. Instead, we’ve got a film which is so deep in the Christmas cheer, that the only way it could get more Christmas-y, is with Batman beating down everyone with a giant candy cane. There is a massive Christmas tree, there are several utterings of the words “Merry Christmas”, presents being literally thrown to people. There are gestures of goodwill throughout and then, to make it even better, we’ve got The Penguin and Catwoman running around and trust me, this is one of the most underrated Christmas movies you’ll ever be able to watch. If you’ve not seen it yet, go watch it; it’s a 90’s classic. Despite debates about whether this should be classified as a Christmas film or a Hallowe’en film (no debate, it’s both), there’s certainly a strong enough theme for our purposes. 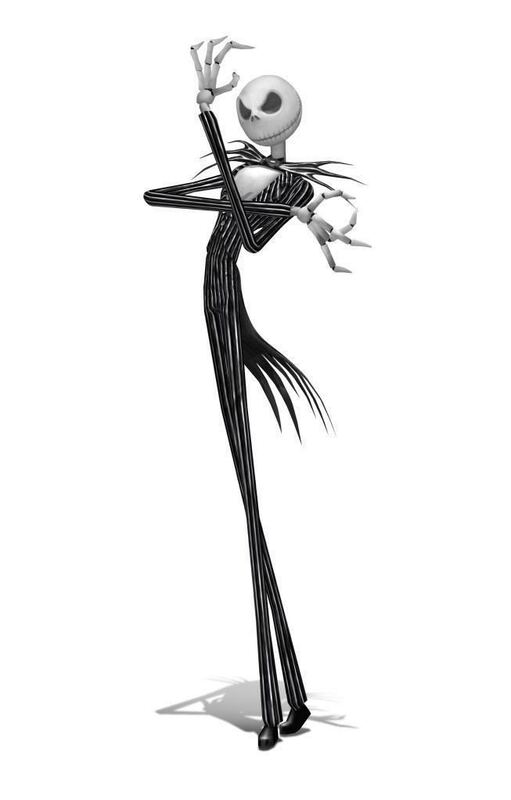 The Tim Burton stop-motion classic tells the tale of the people of Hallowe’en Town embracing Christmas, doing it badly, and then apologising to Santa and asking him to fix it under the promise that they will stick to what they’re good at. To be entirely fair they were working with limited experience, limited materials, and to a very short timescale. They had two months to produce what the people of Christmas Town take a full year to create, and with only a fleeting understanding of the base material, so their efforts were bound to be shaky. Personally I think they did a good job given what they were working with, and the only person who seemed to stick to his guns and abide to his nature was Oogie Boogie. You know, the joy about Christmas is the fact it’s the spirit of giving. Everyone becomes so much better at sharing, so it’s with that in mind that we thought we’d share with you not one, but two Claymation styled Christmas Special examples. Honestly, you are probably nowhere near as surprised as we were when we put these in the list! 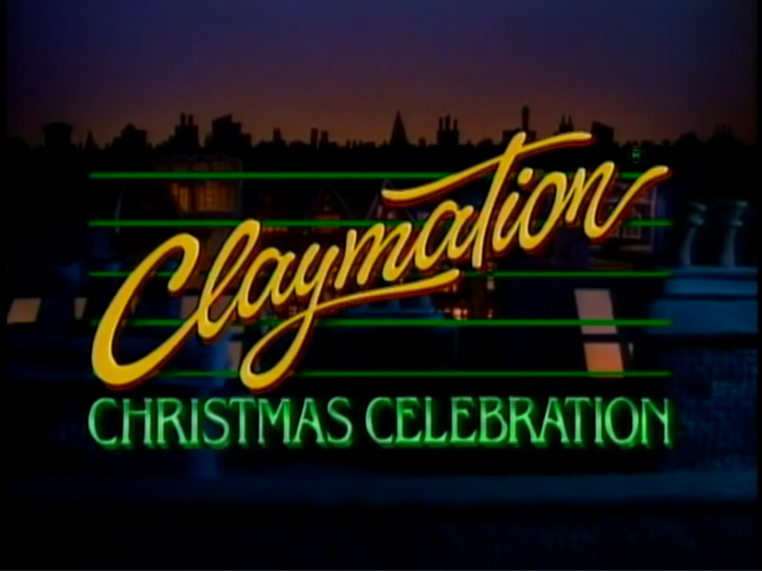 Originally broadcast on CBS in America, this Christmas Special was put together by a man called Will Vinton. I’ve known about this one for a while, but didn’t really think too much about it in the past… Only because I hadn’t really seen it. I didn’t know if it was just going to be some random early-days Claymation, or if there was actually going to be some depth behind it. Thankfully, I’ve checked it out now. Two dumbed-down dinosaurs are going about carol singing; when one of the dinosaurs, Rex, believes his lyrics are the most correct. As they go about, they bump into other Carol Singers, who misquote the lyrics. Eventually, Rex’s version of the song is proven to be the most correct – and they all go singing and getting sweets… Because that’s the spirit of Christmas! We put this one in mostly because it’s a very cool look at early-days Claymation; a very underappreciated animation style in this day and age. The claymation classics, and Aardman’s most famous creations, Wallace and Gromit never had a feature length Christmas story, but a couple of shorts from their Cracking Contraptions series had an undeniable seasonal theme. The most christmassy by far being the christmas card making machine that goes from initial portrait to mass printing, the other a snowman sculpting truck. Both accomplished with Wallace’s renowned precision and unnecessary complexity, and so often requiring long-suffering Gromit to dress in costume, these little slivers of the family favourite put the mad inventor’s skills to seasonal use. Being very short dumps them into the honorary bin, but Wallace & Gromit are a Christmas favourite with barely a hint of snow to see. Now that Santa’s stopped sleighing around the place and Rudolph has settled down, it’s time for us to finally go back to watching our films in peace. Eesh, Santa, you sure are a busy man! You’re either busy checking who’s been naughty or nice, or you’re just getting in our anime, films and games. So you’d better watch out, you’d better not pout, you’d better not cry, I’m telling you why – We’ll be back next week with another Festive Top 10! Did we get some of the right picks in this list, or did we forget your favourite? Should we really have included Die Hard? It’s over to you to share your favourite Christmas-Themed stories with us in the comments below, or over on Facebook and Twitter. This entry was posted on December 1, 2018 by GeekOut Team. It was filed under Anime talk, Entertainment, Film, Gaming posts, Literature, Television, Top 10, Video Games and was tagged with Abed’s Out of Control Christmas, Batman Returns, Christmas Specials, Christmas Stories, Christmas Themed Stories, Claymation Christmas Special, Community, Gremlins, Hetalia, Hetalia Christmas Special, Hogfather, How The Saints Saved Christmas, Rise of the Guardians, Saints Row IV, Star Wars, Star Wars Christmas Special, The Nightmare Before Christmas, Top 10, Wallace & Gromit.